Our leather collection is wildly popular and now we've added a new member to the family -- Wrap-Around Leather Bracelets! There are so many options to embellish this bracelet: Stamping, Riveting, Colored Ball Chain, Leather Cord. We all took turns playing with them in our Design Studio! We can't wait for you to try this easy technique out. Let us know what you think! Bracelets are great in now world fashion. Like the styles. I am great fan of these. 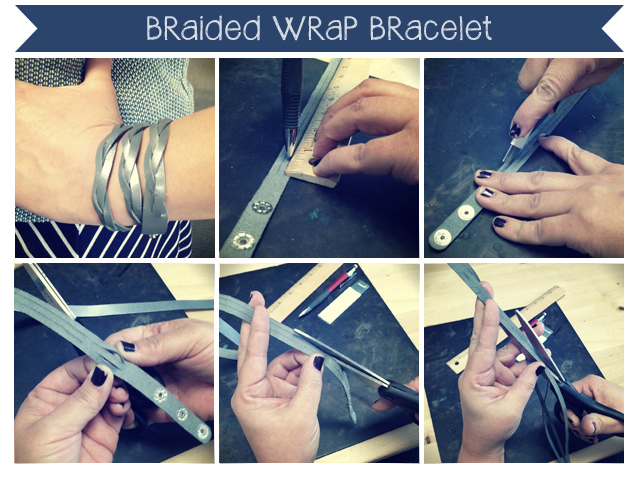 Nice tutorial, nice bracelets! We used to do a lot of craft shows selling leather jewelry. I bet we could sell tones of these at our shows. Now we just sell material for making jewelry. Personalised Bangles for your spouse. http://eprice.co.in/zobello-plain-leather-bracelet-from-flipkart/ may be helpful as well.